We know that a picture is worth a thousand words, and what if it is moving? Your wedding is precious moments of your life. When planning a wedding, all the details are few and you cannot forget to have a professional to save each video moments. Sure you’ll want to remember that look, that mehndi, haldi sangeet, wedding day, seven vows, reception! GulzarSethi has been featured on National Television with the popular bridal make over show, NDTV GoodTimes, the famous “Band Baajaa Bride” in 2014. He believes in a 3 word Mantra: Connect, Interact & Personalise and in turn credits his success to this mantra. In 2014, He was bestowed with the award for the “Best Wedding Photographer in India” and in 2016, as the Wedding Photographer of the Year. Do you want your wedding videography outstanding then go for Gulzar Sethi Photography. Arjun and Praerna Kartha are amongst the pioneers of the candid wedding photography industry in India and are widely considered to be amongst India’s top wedding photographers. After their first wedding in 2008, they realised that people enjoyed crafting visual stories of love from Indian weddings. With a fun, offbeat and contemporary approach to wedding storytelling, they have travelled the length and breadth of the country and abroad documenting stories of love. With a full in-house team, they take up a limited number of weddings every year and are passionate about creating wedding stories that will last a lifetime. From their home based in New Delhi, Arjun and Prearna’ travel extensively and are available for assignments all over India and South Asia – or wherever a wedding takes them! So be ready to capture your moments in video. ImomentsVideo has taken wedding filming to the next level and they are the provider of leading wedding cinematography in Delhi. It is not just a documentary of everything that happened during your wedding anymore. Now your wedding film has its own character and narrates your story in the most aesthetically beautiful manner. It has taken a long time for them to develop your wedding film style and they take pride in the fact that it is very unique and unlike any other currently available in the market. Each of their film has it’s own style and tells you more about the couple than you can imagine. Do you want your wedding film full of quirky, fun, emotional and well, you? While watching your film, you will recall each of those special moments that happened at your wedding but were a blur to you because everything was happening so fast as if in a dream. They want you to relive your wedding every time you watch your film! Their style of shooting films is non-obtrusive and candid. You will not even realize that your small wink to your groom, tear drop at the mandap, the reassuring touch, the exchanged looks, the smiles, the laughter has all been captured and you will be able to watch it again and again in slow motion! Dipak Studio is located in Delhi, but moves everywhere where you need them to shoot for your wedding. What sets you for your wedding? A video need to be grace to your eyes, one has to decide the style of assembly, which gives rhythm, warmth and excitement to video, so it does not age over time, but they always keep intact the essence of this important day. 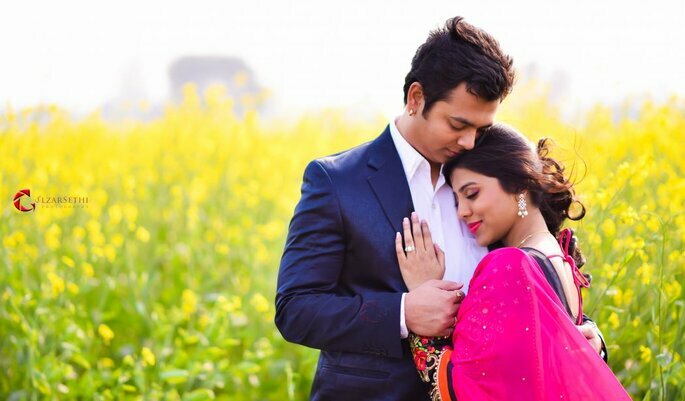 You can not doubt Dipak Studio for their work, so make your wedding memories wonderful! Weddings by Knotty Days make films of Weddings with full of life and colors. They believe in capturing the real essence of a wedding scenario. Travelled and shot almost in every corner of India they still live to thrive for the best in class. While be it a grand destination wedding or a simple family affair they are renowed for taking the deliverables to another height. Satisfied clients to be their key motive, They live to breathe weddings! Knotty days is located in Delhi. They work very closely with couples and families, keeping cultural sentiments in consideration. Make your wedding memories memorable through your wedding videography. Hope all the ‘to be couple’, who are planning to get married, and who are confused with the videographers and photographers, this list of top class videographers and photographers from Delhi would surely help you. Choose any one out of these and make your memories astonishing!